HIT! 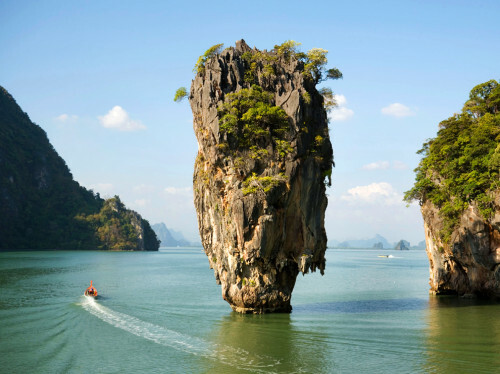 Super cheap flights to Thailand: Krabi with 5* Qatar Airways for €326! 5 star airlines Qatar Airways now offer really cheap flights to Thailand in the main season from various destinations in Europe in their Global Sale promotion. The best tickets are available from Milan to Krabi for just €326! You can also fly from Rome for €340, from Oslo for €349, from Budapest for €409, from Munich for €430 and basically from any other airport served by Qatar Airways. Regular tickets to Thailand would cost you around €500. Krabi is a great alternative to flights to Bangkok because it’s much closer to Thai islands like Koh Samui, Koh Phi Phi or Koh Phangan. Travel dates are perfect in the main season from July 2017 to March 2018. 30 kg luggage is also included in this amazing price. Getting to Milan is easy from any airport in Europe with cheap low-cost flights operated by Ryanair, Wizz Air, Vueling and Easyjet, use Momondo to find your connecting flight. Hurry up and book your tickets, this will be gone soon. Krabi offers extensive range of accommodation from cheapest hostels and guesthouses for few Euros per night to super luxurious 5 star hotels. You won’t spend much money in the country itself either as it’s pretty cheap. « HIT! Super cheap flights to Iceland: Reykjavik from Prague for €90 / 2398 CZK!